This entry was posted on Thursday, June 7th, 2018 at 12:37 pm	and is filed under Time to Patch. You can follow any comments to this entry through the RSS 2.0 feed. Both comments and pings are currently closed. My browser pushed out the update to me immediately Brian, but as always, great info. MS still won’t push it out for awhile (hours, perhaps a day or even more) to Win10 users — a “feature” I absolutely detest about that OS, because it simply will not allow a user to manually update the AX-flavored version from an external drive utilizing the full-version download from Adobe. FYI. It came to all 3 of the computers over here as soon as they were booted up about 20 minutes ago. Surprise, surprise, surprise! MS is pushing out in record time, so it must really be a nasty piece of work from their standpoint…. Thankfully Chrome has “ask before using” enabled so there’s no need to update (which will be automatic anyways). Interestingly I have NEVER had a prompt pop up in the last few years…thus indicating no need for flash in my browsing. Yay! Happy to say that I don’t even have Flash installed on my work machine, haven’t had a need, and that my home computer has Flash “hobbled” and set to ask permission to run, and I never let it run unless I was expecting flash content. I’m able to confirm that Chrome is currently putting out an update for this. Chrome 67.0.3396.79 (and probably other builds, that’s just the stable build) has Flash 30.0.0.113 in it. https://helpx.adobe.com/flash-player.html invalid SSL, they really need to take the security seriously! I don’t think they have a bad TLS cert. It appears they are including an image over http: from their https: url, which is a bad idea, it’s called mixed-content. 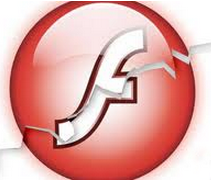 Adobe Flash automatic update is even less responsive than usual. Flash user security clearly is not a concern for Adobe. For those with a Windows XP system running on a pre-SSE2 processor, Flash 30 appears to install but something fails with a message box proclaiming ‘Illegal Instruction’. You then discover that the uninstaller also requires a SSE2 compatible processor. A use of System Restore will be required and then remember disconnect from the Internet before restarting Windows XP so that Flash 30 cannot be automatically installed again. Flash 29 and previous can be uninstalled by the expected methods. Using Firefox, I checked both of my computers at the link provided, and to my surprise they were already at 30.0.0.113 and yet I don’t remember upgrading Flash this week. I wonder how that happened? It is supposed to do it automatically, but usually only about 2/3rds of the time – unfortunately. Mine was already updated as well. I had kept Flash only because the BBC was using it. On June 7, 2018 Norton Security told me that the Flash Uninstall program had an invalid certificate. I solved the problem by using the Control Panel to remove the two program entries for Flash. Then I went to the video portion of BBC News and ran the One-minute World News video. The video ran correctly so the BBC must have stopped using Flash. Right clicking on the video screen would have revealed the video player being used by the BBC but I chose to just remove Flash because the Control Panel indicated that the most current release of Flash was installed. Thus the situation begs the question ( petitio principii ) : What’s happening? Thus putting Flash in the dumpster of history seemed to be the best choice. P.S. If you do use AIR and are happy to let it auto-update by default, you won’t need to do anything further. However, if you would prefer to constrain its auto-update feature to perform that action manually, Adobe doesn’t make it so easy or straightforward. For end users who just want to install the settings manager successfully and disable the auto-update feature, the simplest method is to temporarily change the date on your OS by toggling the year from 2018 to one prior to the expiration of the problem certificate (2014 or 2015 work just fine), install the app, toggle the “disable” button in the box that appears and close it, then reset the date by toggling the year back to 2018. You’re good to go (no reboot required), and shouldn’t have to go through that process again regardless of further updates to the AIR runtime version. Ugh. The browser providers embedding and “managing” flash is such a pain. We’ve gone to lengths to rid ourselves of it, and then then cram it right back down our throats. I made a conscious effort to just not enable it in a browser. I have managed to work around not having it and if given no choice other then using Flash I just skip it. If you must use Flash I would recommend enabling Site Isolation in Chrome and using it that way. At least Flash get’s even more separated and probably helps secure it a bit more. There’s now an update for Adobe Shockwave that brings it to v12.3.4.204. The BBC has been inconsistent with flash – there are videos that still use flash, especially sports, but the general trend lately seems to be a move away from it – although it’s hard to tell since even some language-specific news pages still heavily use flash.